(Natural News) As reports of mumps continue to spread across the United States, particularly in schools, it seems that even the pro-vaccine crowd has been forced to reluctantly admit that many of the people being stricken by the disease are, in fact, vaccinated. For example, Pennsylvania State University recently noted that the majority of their students who have contracted mumps are those who had already received the two CDC recommended vaccine doses. The college also warned that the vaccines are not 100 percent effective — just in case that hadn’t already become clear. Even the left-wing Washington Post has admitted that many of the mumps cases being seen this year are occurring in populations with a high vaccination rate. But, the mainstream media is still singing the praises of vaccines, persisting that these inoculations are the best way to fend off disease. 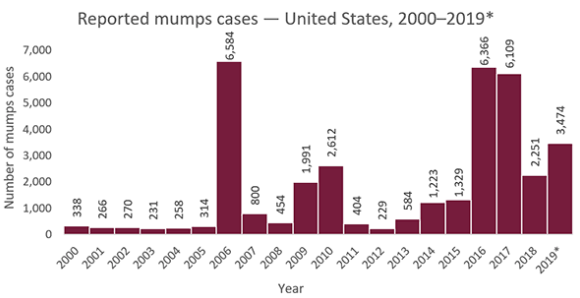 As you can see, over the last ten years or so, there have been years where there were relatively few cases of mumps and years where there are quite a number of them. But still, the vaccine-obsessed are crying for more: U.S. officials are now considering adding a third vaccine dose to the current recommended MMR vaccine schedule. The irony of it all is the fact that Merck’s MMR vaccine is truly nothing more than a hoax. 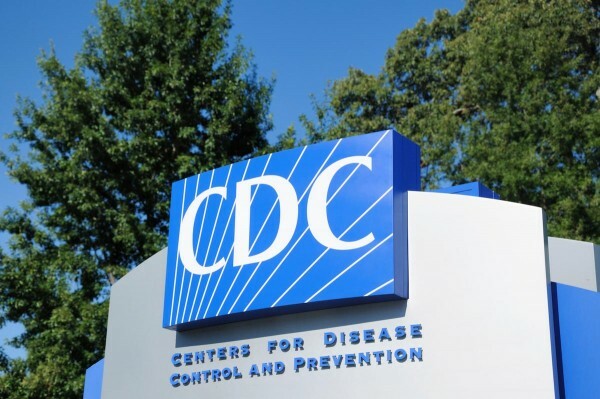 As Mike Adams, the Health Ranger, first reported in 2012, two of the company’s former employees filed a federal complaint against the company for their misconstruction of data related to their vaccine and its effectiveness. Virologists Stephen Krahling and Joan Wlochowski, who filed the complaint, explained that Merck had to re-certify the mumps portion of the MMR vaccine in 2000, but that the component failed to pass testing. This prompted the company to change their testing parameters and procedures multiple times to ensure that they would get the desired result of 95 percent efficacy. Essentially, the vaccine failed to pass their regular testing protocol, and rather than work to fix the vaccine — Merck chose to tweak their testing protocols and abandon “gold standard” scientific methods to make it look like the mumps portion worked better than it really did. As Rosemary Mathis from Sane Vax, Inc. reports, “By combining the very low levels of human antibodies with animal antibodies, a much higher total level of virus neutralization was obtained than could occur from human antibodies alone. The human antibody levels alone would never protect in the real world against wild mumps.” By adding animal antibodies and doctoring their testing protocols, Merck was eventually able to manipulate the results to show ample efficacy. There is even reason to believe that the vaccine itself could be contributing to the repeated outbreaks that are occurring across the U.S.
Merck still continues to purport that their MMR vaccine is “95 percent effective” to quash competition and keep their position in the marketplace — even though they know that simply isn’t true. While the court case is still ongoing, we can only hope that justice will eventually be served. Next : Are patients dying from chemo and not cancer itself?